The Re-qualification project for ICT project is based on a nine-month innovative and intensive software development education program. 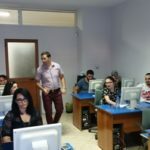 Overall objective is to improve and grow the IT industry in Albania and to strengthen IT youth human capital. AITA has selected 30 participants out of 200 applications . 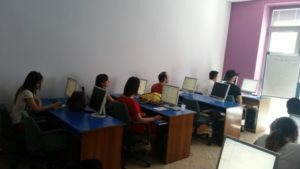 15 students for JAVA and 15 students for .NET. The program is financed by USAID/ REG BREDI Program & AITA. The training program was separated in two parts, one on June – July 2017 and the second part September – October 2017. In the end of the training students will be separated in groups of 3 people that will present a full project, application in the respective program language. Each of the students will have the opportunity for internships at the AITA members companies and only the best will be employed by the IT companies.